I’m obsessed with Brussels sprouts, simply obsessed. If you’ve ever had dinner with me between the months of October and march, you KNOW that there’s usually an extra side of roasted Brussels sprouts somewhere on the table. 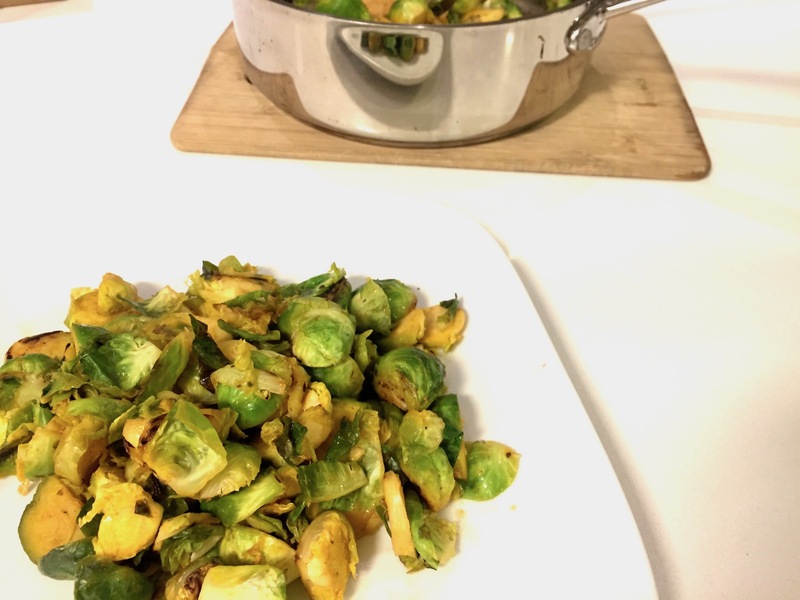 I love Brussels sprouts roasted, seared, shredded, raw… pretty much anything you can do to them! 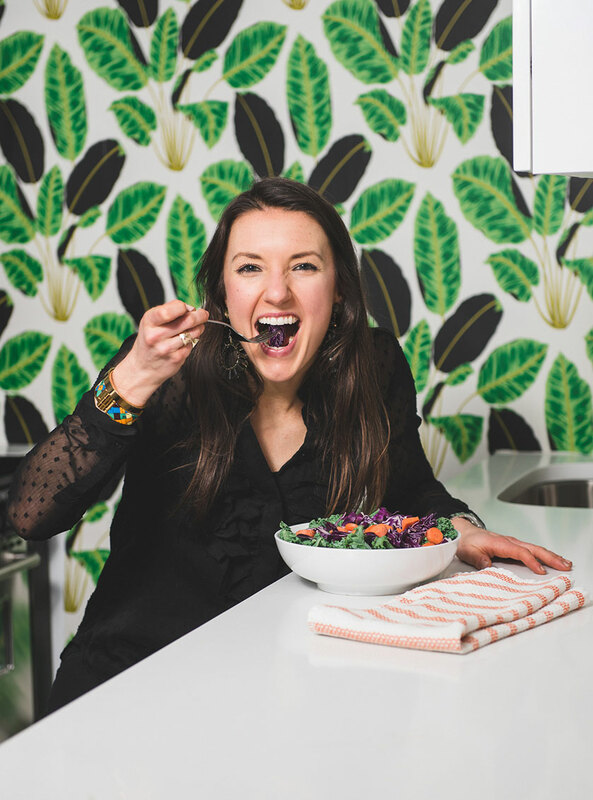 A few years ago I was inspired by Dig Inn – because during their winter months they LOVE to add Brussels sprouts to their menu, and nothing makes me happier. That season they had maple sriracha brussels sprouts on the menu that totally rocked my world, so I spent a lot of time figuring out just how to make them, and I nailed it! In addition to the fact that they’re DELICIOUS (and I know, not everyone feels the same way about the sprouts), Brussels sprouts are also good for you! They’re loaded with fiber and healthy nutrients like folate (mood-healthy), vitamin K, immune-boosting vitamin C, and anti-cancer sulfur-based nutrients that are also good for helping the liver to promote self-cleansing. Here’s a few more power-houses in this recipe. Spicy foods like sriracha, cayenne and other hot spices are also good for giving your metabolism a little bit of a boost- and during cold winter months they’re also good for warming you up a little as well. Finally (but certainly not least! ), maple syrup (you can also use honey) in this recipe is a source of antioxidants. You want to buy the maple syrup that’s darker in color (same thing for honey) because it contains more nutrients when it has a darker color. 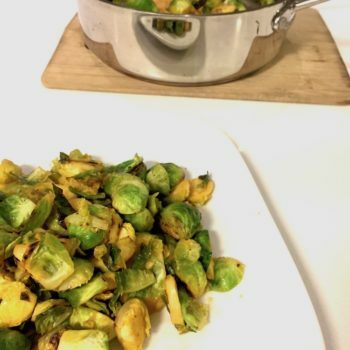 I'm obsessed with brussels sprouts and this recipe is super tasty, but easy to make and your guests will certainly enjoy it too. Made with a few ingredients, this recipe won't disappoint! Wash and prepare the Brussels sprouts. Heat a medium frying pan over medium heat and add the avocado oil - allowing the oil to heat for 1-2 minutes. Add the Brussels sprouts to the hot pan and continue to stir every few minutes for 8-10 minutes- they'll start to get soft. When the Brussels sprouts are starting to get soft, add the sriracha and maple and continue to stir every few minutes- until the Brussels sprouts are soft all the way through. Add a dash of salt and pepper to taste.